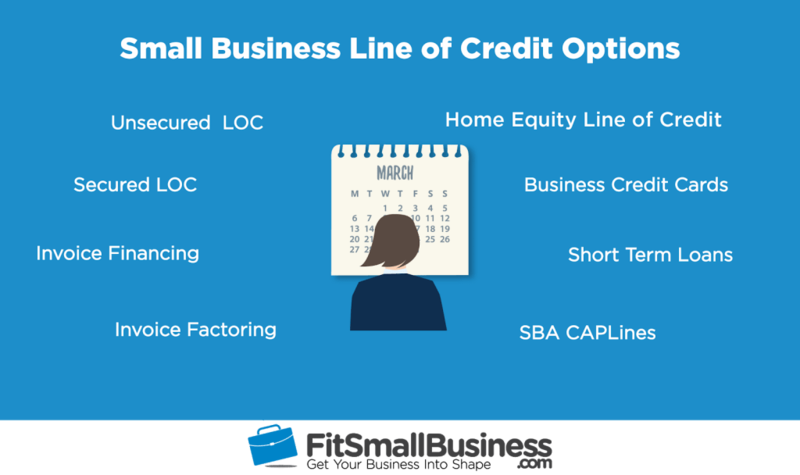 A business line of credit (LOC) is good for small businesses that want a revolving credit line they can use over and over again for recurring or unexpected expenses. There are numerous types of line of credit products, each right for different borrowers. You can review each one below or take the quiz to determine which LOC is right for you. An unsecured business line of line of credit is the easiest LOC to qualify for and can typically fund in as little as 24 hours. You won’t have to provide any collateral to secure your credit line and you can borrow up to $250,000 at a time. You’ll only be charged interest for the amount you’ve borrowed and once you repay, you can borrow those funds again. An unsecured business line of credit is typically originated by online lenders. You can learn more by reading our article on the best small business line of credit providers. When applying for an unsecured LOC, you’ll fill out an online application and provide your basic personal and business information. This application can be completed in about 10 minutes and you can be funded in one to three days. You can learn more by reading our small business line of credit guide. A secured business line of credit (LOC) is similar to an unsecured LOC in that it’s typically revolving and you only pay interest on what you borrow. However, unlike an unsecured line of credit, secured LOCs are typically provided by a traditional loan provider, like a bank. You will likely get a better interest rate but will also have to provide collateral to secure your line. You can find a secured business line of credit at a variety of traditional lenders, mostly banks or credit unions. Since many lenders are willing to use your business savings account as collateral, your current bank is a good starting place. The application process will vary by lender and will typically require you to either apply over the phone or walk into a bank and meet with a business banker. You can learn more about an LOC from a traditional lender by reading our business line of credit article. 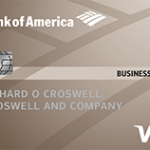 Business credit cards are revolving credit lines that you can use again and again as you pay off the balance. Credit cards are typically the first type of financing any business can qualify for and they’re a good fit for any business owner. Many business credit cards will also reward you with either cash back or points. Rewards: Vary by card, but can be 1%-5% that convert to points or cash back. The business credit card you apply for will likely depend on your personal credit profile and the type of reward you want. 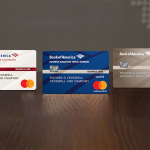 To learn more, check out our article comparing the best business credit cards or our article on the best personal credit cards for small business owners. The application process typically takes place online within a few minutes. In most cases, you’ll get an immediate approval decision and if approved, you’ll receive your card in the mail within two to twelve days. To learn more, read our guide on when to use a credit card to fund your business. Invoice financing, also called accounts receivable (AR) financing, is like a line of credit that uses your outstanding customer invoices as collateral. You get financed for the value of your customer invoices up to an approved maximum, and when you repay what you’ve borrowed, you can borrow again. You typically can’t borrow the full invoice amount, but it’s a great way to unlock the value of your invoices quicker than waiting for your customers to pay. Invoice financing can typically be found via online lenders. You can learn more by comparing the best AR financing lenders in our buyer’s guide. Applying for invoice financing generally takes place online, and only takes a few minutes. Once approved, you’ll be able to select the customer invoices you want to finance through an online platform and you’ll get funded in as quick as one business day. You can learn more about this process by reading our ultimate guide to invoice financing. Invoice factoring occurs when an invoice factor company effectively purchases your outstanding invoices at a discount. They’ll first advance you up to 95% of your invoice values, and then charge a discount rate or fee per invoice. While you don’t get 100% of your invoices, this is a great way to get paid fast for what you’re owed. Traditional lenders, like large banks, often offer invoice factoring to businesses with $30,000+ invoices per month. You can learn more about the best factors by reading our article on the best factoring companies. The application process for invoice factoring will vary by factor, but you’ll need to either speak to them in person or on the phone to see if you qualify. You can learn more by reading our guide to invoice factoring. A home equity line of credit (HELOC) is a form of financing that uses the equity in your personal home as collateral. While this isn’t financing directly for your business, it can be used for business purposes. The home equity line of credit gives you a revolving credit line to use over and over again and works just like a traditional business line of credit. You can receive a HELOC from specialty lenders who lend using real estate as collateral. A good place to find lenders is LendingTree, which is an online marketplace where you can review offers from multiple lenders at once. The application process will vary by lender but it will require documentation on your home, like a valuation and proof of ownership. Read our HEL or HELOC article to learn more. Some business line of credit products are marketed as small-term loans but actually function as a revolving credit line. You can draw against your loan like revolving credit, but each draw is treated as a small loan with fixed payments. Short-term loans are typically more expensive financing products, but the total cost of capital is competitive with other LOCs. These loans are typically originated by online lenders. You can learn more by reading our comparison of the two best short-term loan providers, Kabbage and OnDeck. Both of these lenders also offer a business line of credit product. You’ll fill out an online application that asks for basic personal and business information within about 10 minutes. You can get pre-approved instantly and funded in as quickly as one day. You can learn more about these online lenders by reading our article on the best business line of credit products. The Small Business Administration (SBA) offers a program to help businesses get approved for up to a $5 million working capital line of credit. Each line of credit funded is for a specific purpose, like for builders needing to buy materials and pay for labor associated with contracts or seasonal businesses needing to get ready for their busy season. For this reason, an SBA CAPLines loan is not a good fit for unexpected expenses or to keep for a rainy day. SBA CAPLines financing can be found at many traditional lenders offering other SBA loans. You can learn more by reading our article on the top 100 SBA lenders. Any SBA financing process is long and requires a lot of paperwork. You can learn more by reading our article on how to apply for an SBA loan. You can also learn more about SBA CAPLines by reading the section we have on them in our types of SBA loans article. If you’re looking for a line of credit to pay for recurring or unexpected expenses, then you have plenty of options. For quick funding, we recommend an unsecured line of credit from an online lender. However, you can check out all of your options above or by reading our article on the best small business line of credit to find the best lender for you.